That title could probably be my hashtag if I had one. Waking up to 20 degree weather was a shocker! I had to put my big girl socks on. 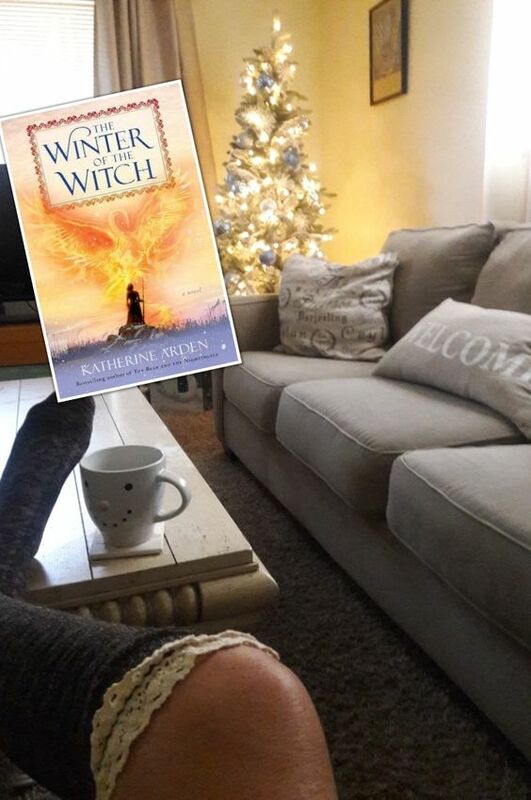 So I am snuggled up on the sofa with a nice cup of English Breakfast Tea and the last book in the trilogy of Katherine Arden’s fabulous tales. The first was The Bear and the Nightingale, followed by The Girl in the Tower and now The Winter Witch. We did get our tree up and mostly decorated. We are still debating on a tree topper. In weird news today I am looking out my office window across the street where there is a long fence. In front of the fence all the way down are 3 transformers and 1 other transformer looking box. On all of them sits 1 big pumpkin and 2 smaller ones. They just appeared overnight and I have no explanation for them. Is it a message? Is it that pumpkin cult from before? Who did this? And why has no one touched them? I have questions people. Should I rescue them? Is this some Stephen King shite? In not weird news I won a Laura Child’s book! Thank you to Katiescottage! Y’all should check out her beautiful blog. 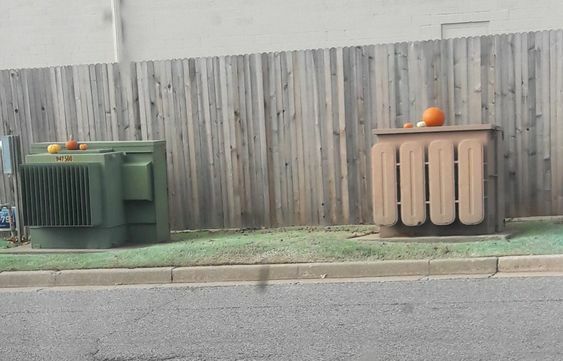 Y’all stay warm and pray for the pumpkins. I don’t know. Isn’t it odd though? I’m praying for you, because those pumpkins are creepy! The big ones disappeared and now just the babies are left. Tommy has threatened to disown me if I start putting tiny tea cozies on them. I may go get them if it snows! It’s the great pumpkin mystery.